• The Perfect Playtime Accessory, A Comfortable Spot To Snuggle Or Nap. • Includes Four Strong Clips For Easy Attachment. • A Play Time Accessory For Guinea Pigs and Ferrets. • Provides Critters With A Comfortable Spot To Snuggle and Nap After Fun and Play. • A Perfect Playtime Accessory, A Comfortable Spot To Snuggle and Nap. • The Perfect Sleeper For Rabbits, Guinea Pigs, Ferrets, and Other Furry Friends. A Comfortable Lounging Area For Small Pets. • A Natural Biodegradable Product. • Compressed Volume 500 Cubic Inch Expands To 1200 Cubic Inch. • 2000 Cubic Inch When Pressed Inside Bag. • Kaytee Aspen Bedding and Litter Is Manufactured With All Natural Aspen Shavings Specially Processed To Eliminate Dust. • Aspen Bedding Comes From Hardwood, Eliminating Aromatic Oils Found In Other Types Of Wood. • Kaytee Soft-Sorbent Is Made From Wood Fibers That Are Not Suitable For Paper Production. 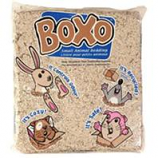 • Rather Than Be Discarded, The Fiber Is Converted Into A Soft, Highly Absorbent Form That Provides A Great Cage Environment. 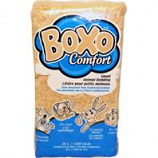 • Bedding With A Genuine Herbal Ingredient Adds A Gentle, Soothing Scent To Your Small Animals Habitat. 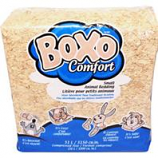 • Made From Wood Fibers That Are Converted Into A Soft, Highly Absorbent Bedding and Litter. • Blended With The Perfect Amount Of Real, Aromatic Lavender Flowers To Add An Air Of Tranquility and Freshness.